It is funny how fundamental this decision is, yet not a great deal is written about it. 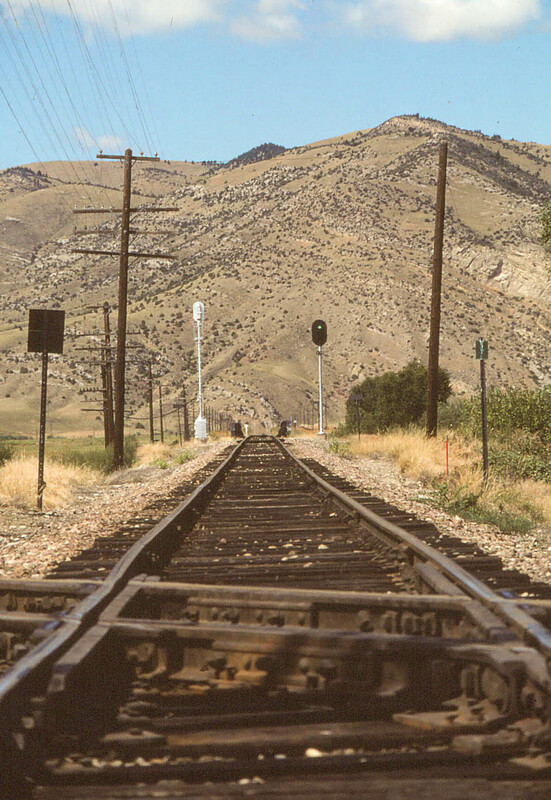 For some of us, it tortures us to select just the right locale, era or railroad to model. For others, it seems to come easy (I kind of envy or perhaps even almost hate those people, just kidding). Why should it be so easy for them and so hard for others (including me)? 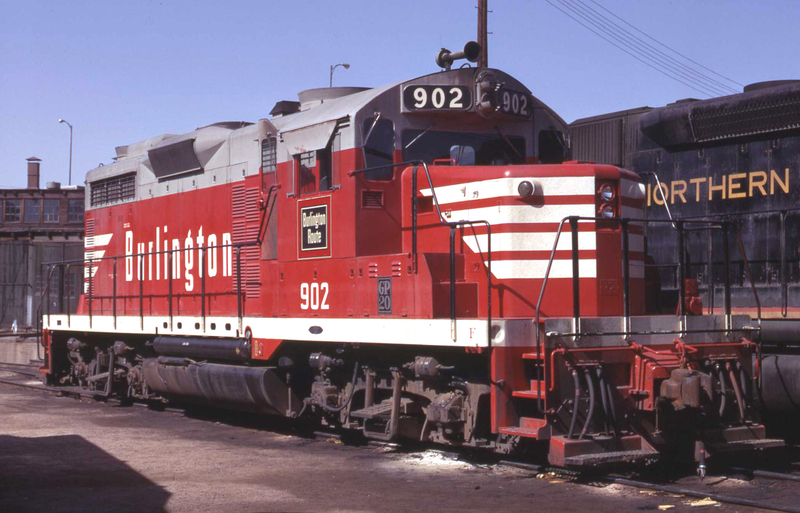 CB&Q 902 in Denver, CO, October 1970. Photo by Hol Wagner. 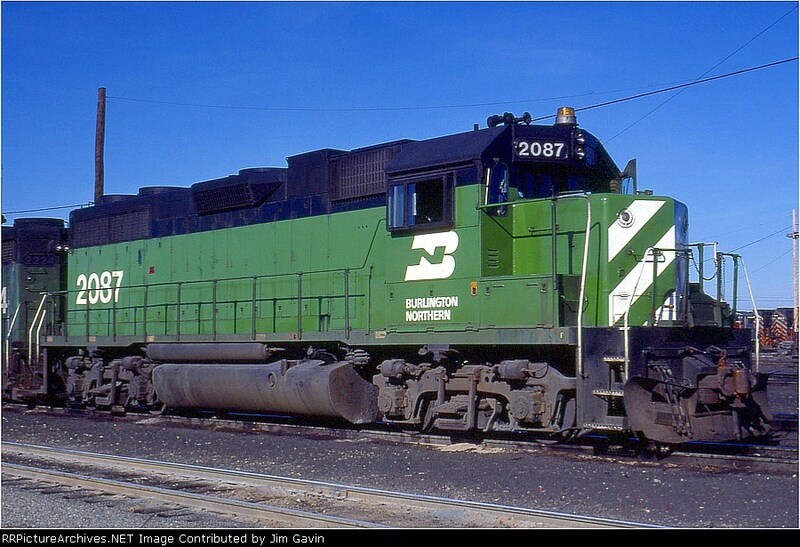 BN 2087 Mar 20 1977 Stockton CA. Photo by Jim Gavin. 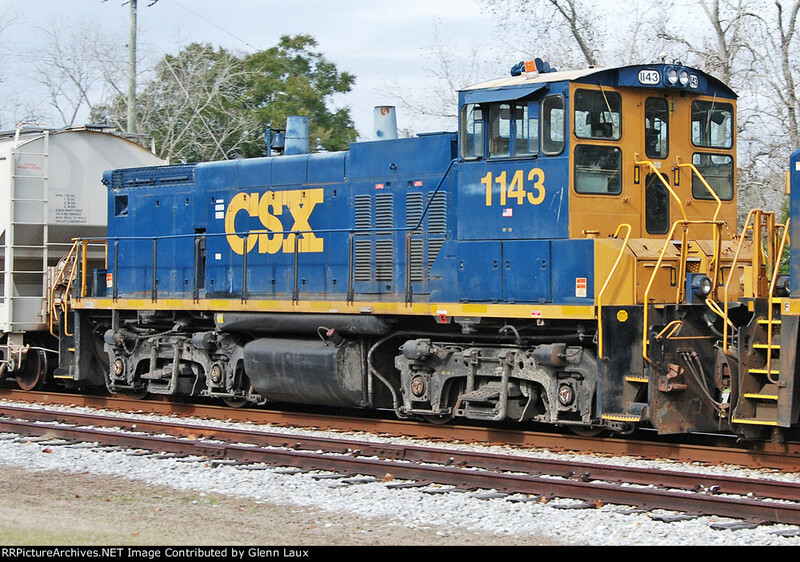 CSX 1143 Defuniak Springs FL front Dec 27 2011. Photo by Glenn Laux. That is really kind of a “train wreck” because I collected equipment for all of these periods. There is really a financial impact and almost emotional impact for jumping around so much, particularly in this era of hyper-limited runs. Thank goodness for ebay! Through ebay, I estimate that I have been able to cut my losses by about 70%. Here’s a point of sharing my lack of focus, you are better off settling into a period and primary set of railroads as soon as you can. It is a lot easier on the wallet and saves you some of the anguish of collecting then selling so much! We often assume that once something is run, It will never be run again. That is often not true. 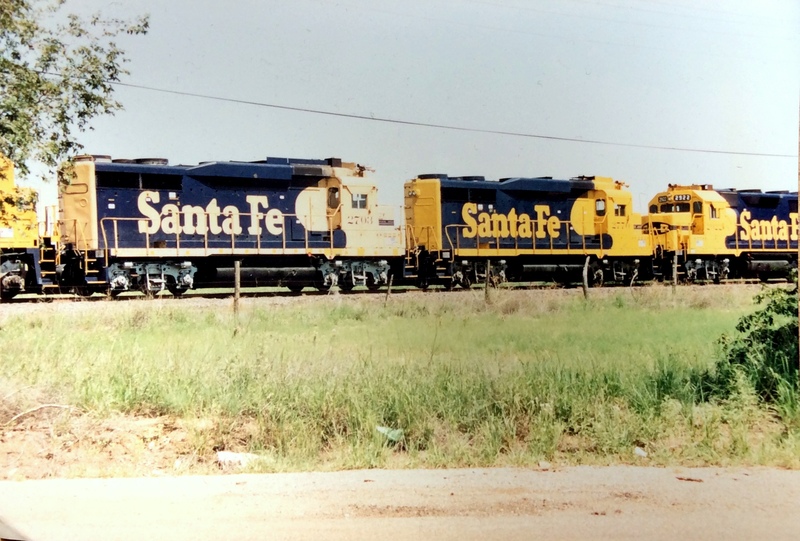 As late as September 2014, I was focused on the ATSF in New Mexico around 1990. I designed and built a track plan around the concept. 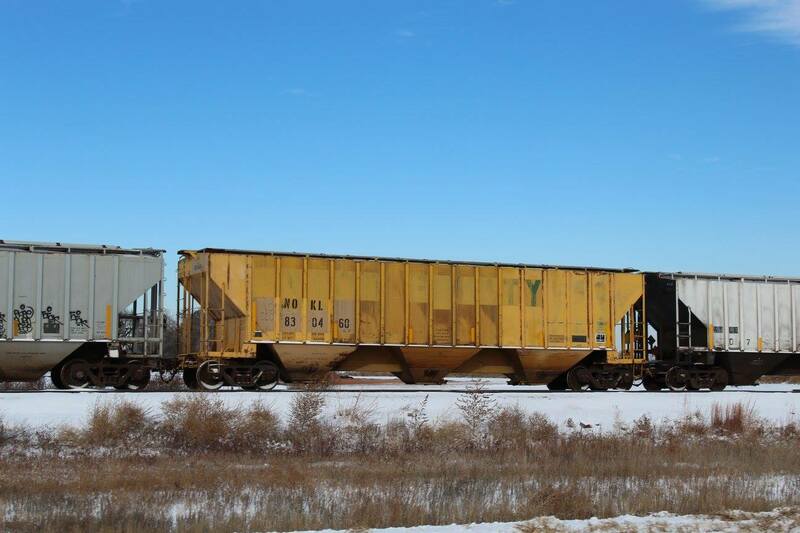 It quickly became apparent that the layout was going to be limited and difficult to operate. I started to redesign it, but then I anguished over letting go of Roswell as I did. As I began to gently let go of Roswell, Athearn Genesis came out with DRGW GP-40-2s. Here is the troublemaker. 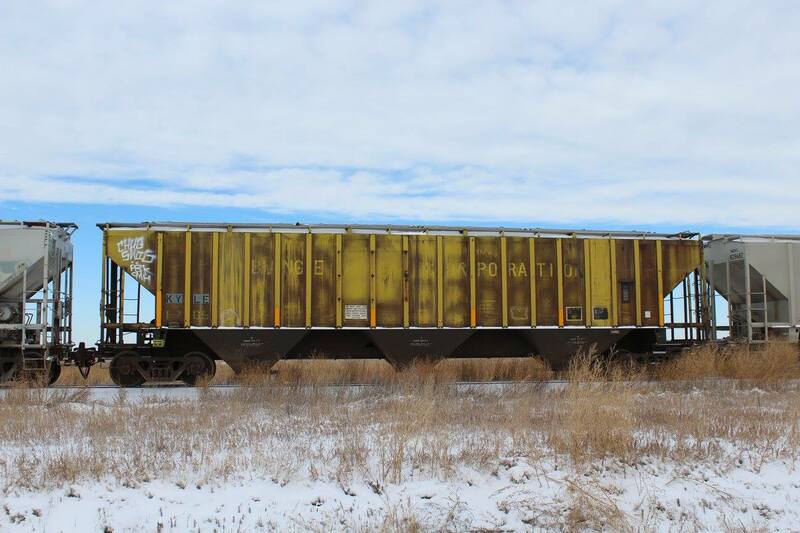 Athearn’s release of this locomotive, partially caused me to re-evaluate my ATSF in Roswell concept. 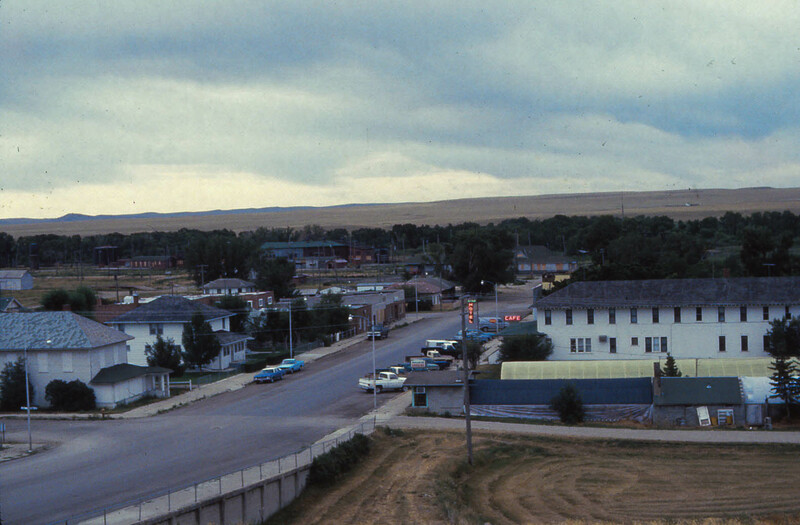 I also seriously considered backdating to the WP (early-1980s) but decided against going that far back. I love the WP, but it is a bit limited compared to the versatility of the above scenario, plus I can run some WP rolling stock as a home road reporting mark. I hope my sharing my difficulties in settling on an era, may help you navigate this tricky issue that we often may not fully appreciate. We may let ourselves just drift along being knocked off course whenever a bright and shiny new product is offered. (Take me for instance.) Try not to go there if you can avoid it! 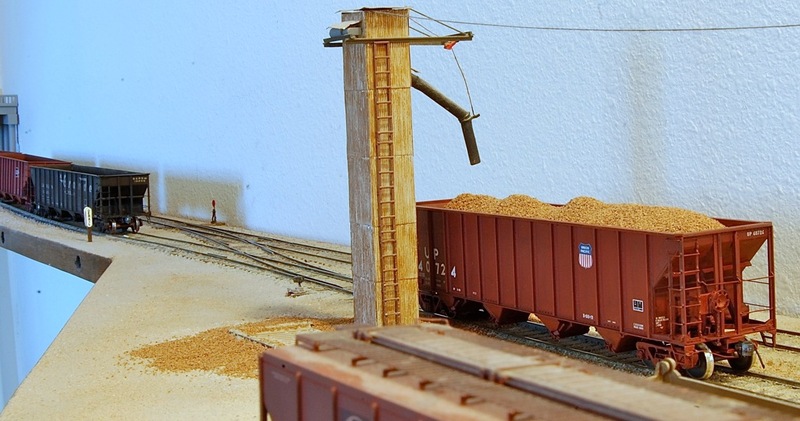 It is ultimately exhausting and can derail your dreams of having an operational layout. 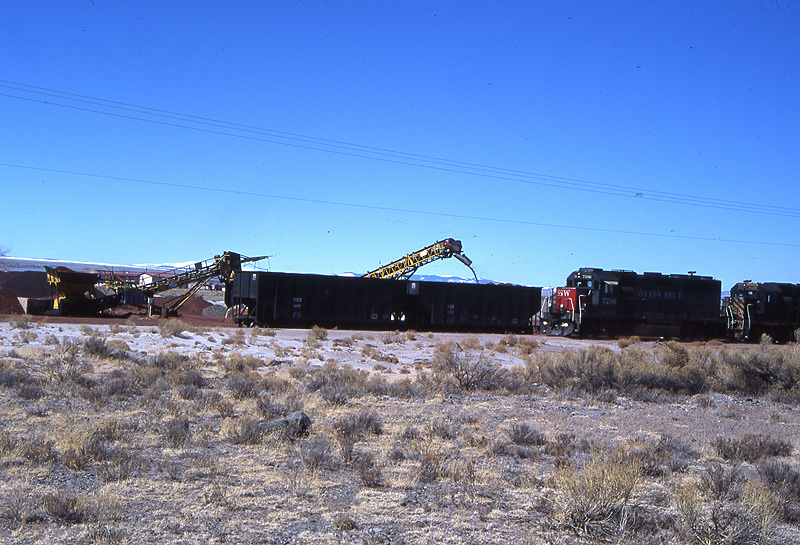 Scoria loading in Antonito, CO in 1998. Photo by Roland Levin. 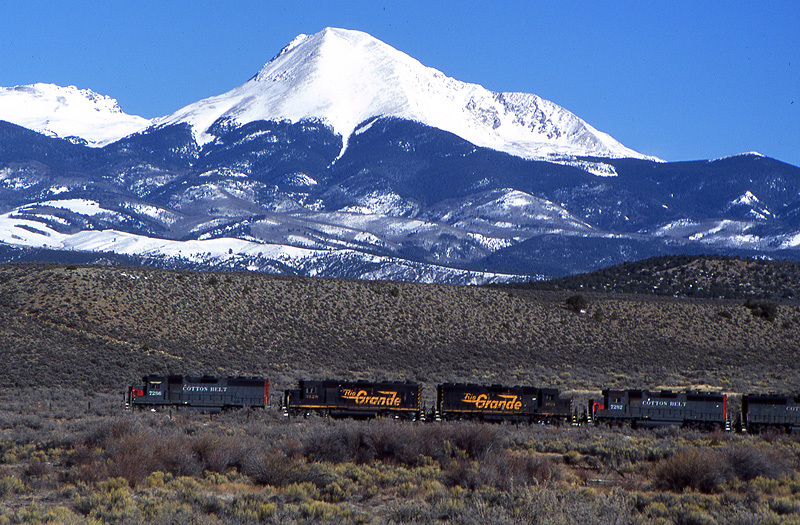 See his great site on scoria and perlite operations in CO here. 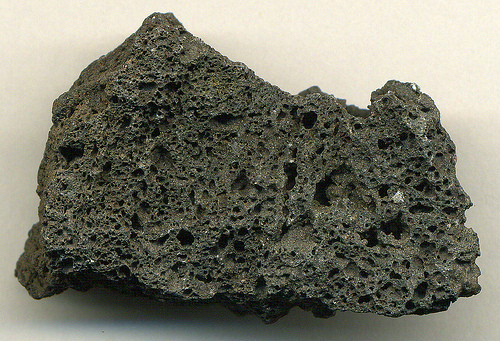 Scoria is a volcanic rock containing many holes or vesicles. It is generally dark in color–generally dark brown, black or red. The holes or vesicles form when gases that were dissolved in the magma come out of solution as it erupts, creating bubbles in the molten rock, some of which are frozen in place as the rock cools and solidifies. An old name for scoria is cinder. Scoria differs from pumice, another vesicular volcanic rock, in having larger vesicles and thicker vesicle walls, and hence is denser. Scoria has several useful characteristics that influence how it is used. It is somewhat porous, has high surface area and strength for its weight, and often has striking colors. – landscaping and drainage works. 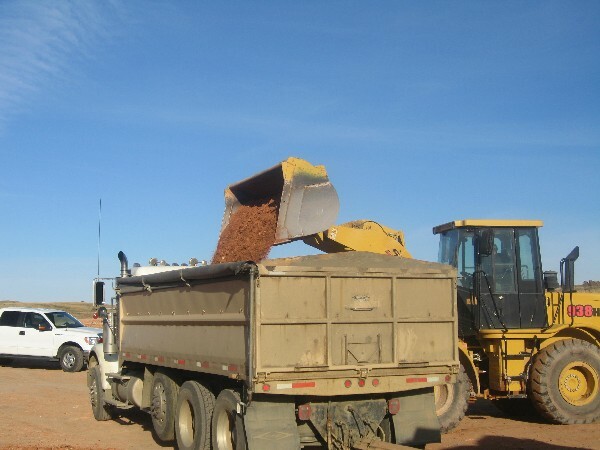 – at oil well locations to limit mud issues with heavy truck traffic. 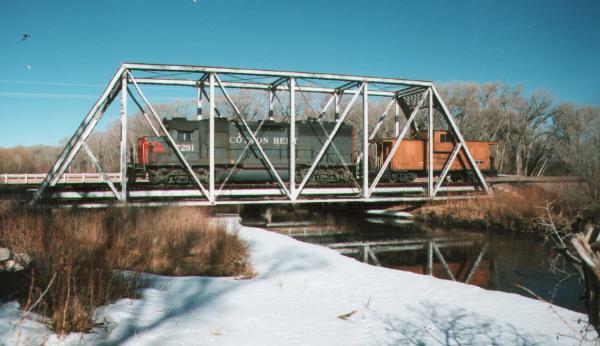 – traction aid on ice and snow covered roads. 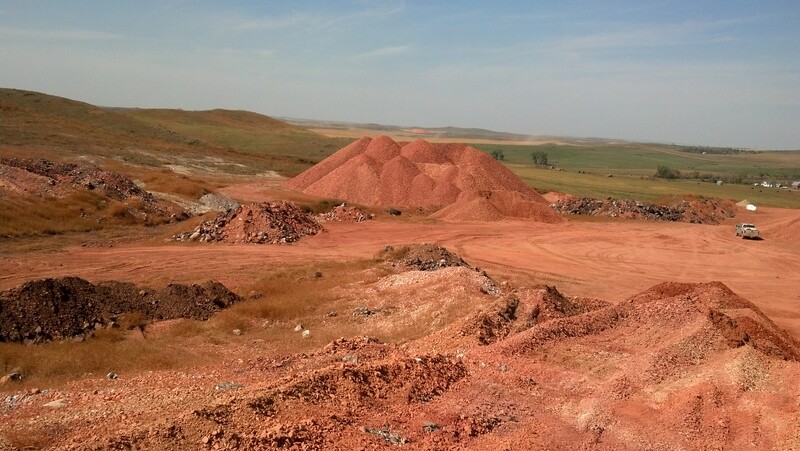 Iron Horse Scoria in North Dakota. 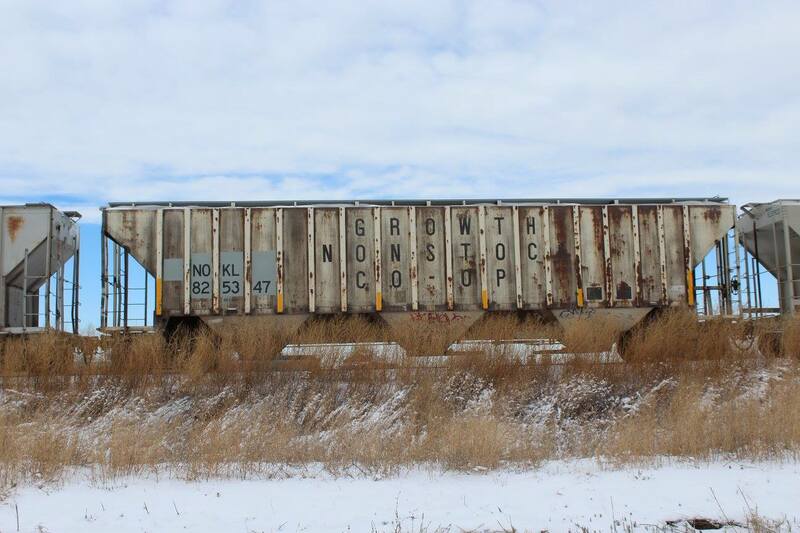 –photo courtesy of Iron Horse Scoria. 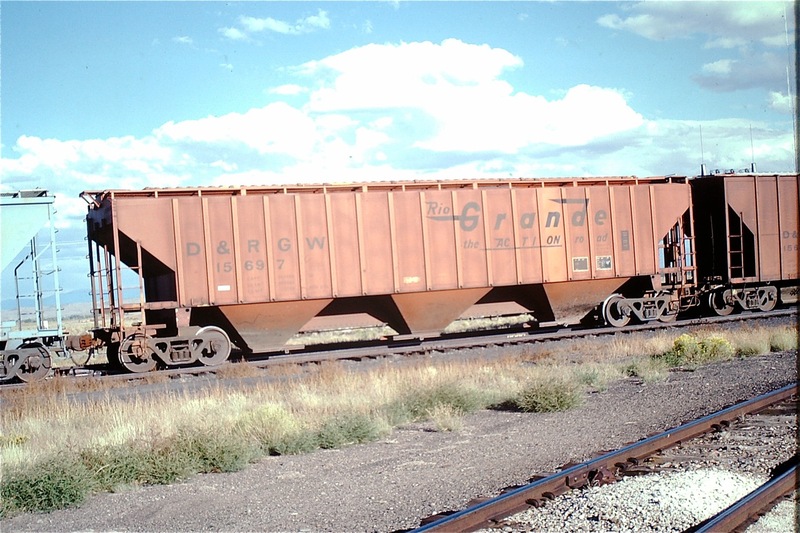 It is often trucked from the location and shipped by rail. 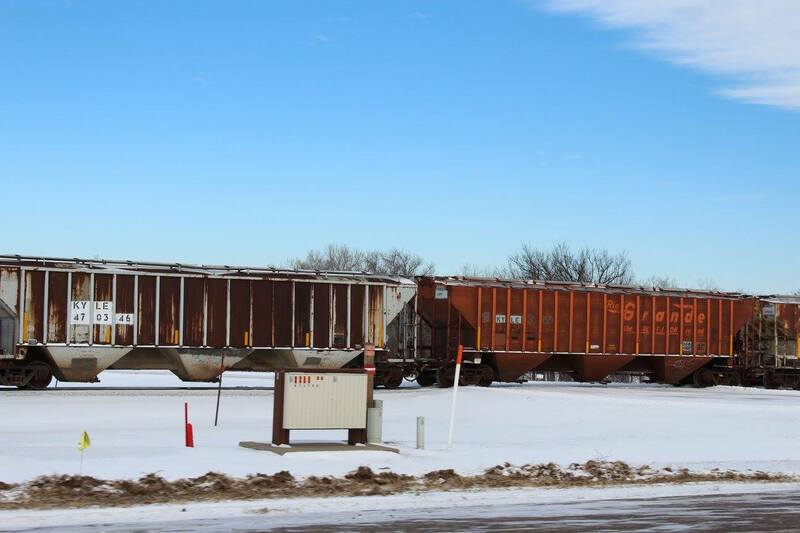 Scoria loading in North Dakota. 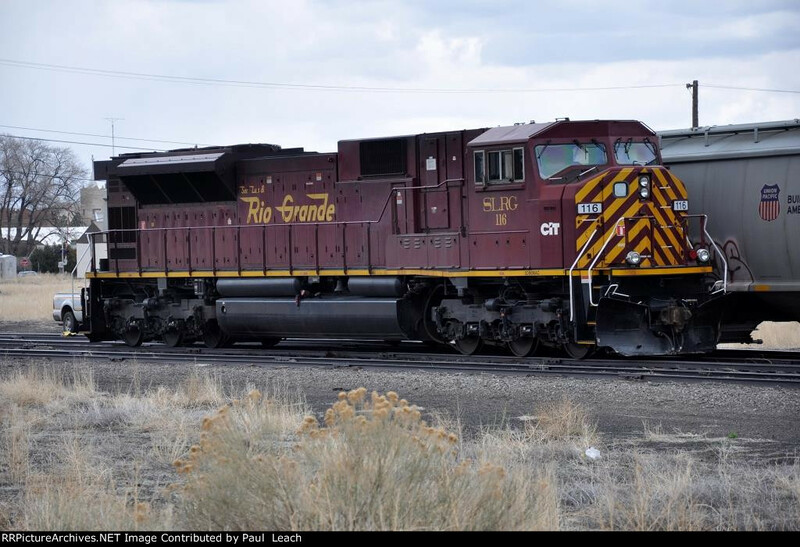 –photo courtesy of Iron Horse Scoria. 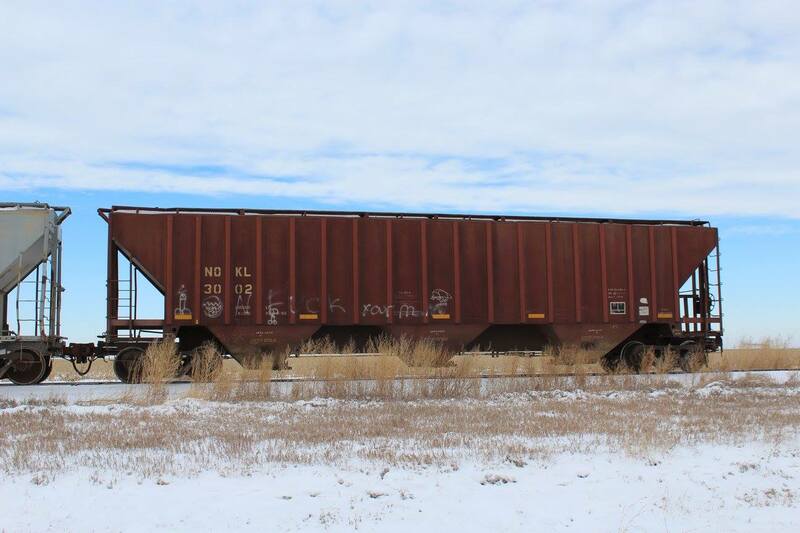 A recent post covered rail operations related to scoria in Colorado. Now, for modelling scoria operations. 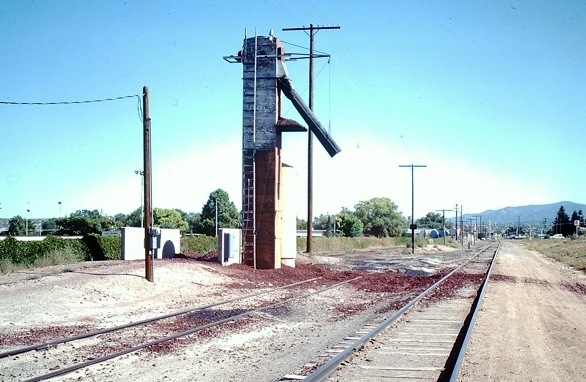 B. Smith came upon this structure in Santa Fe, NM in 1984. 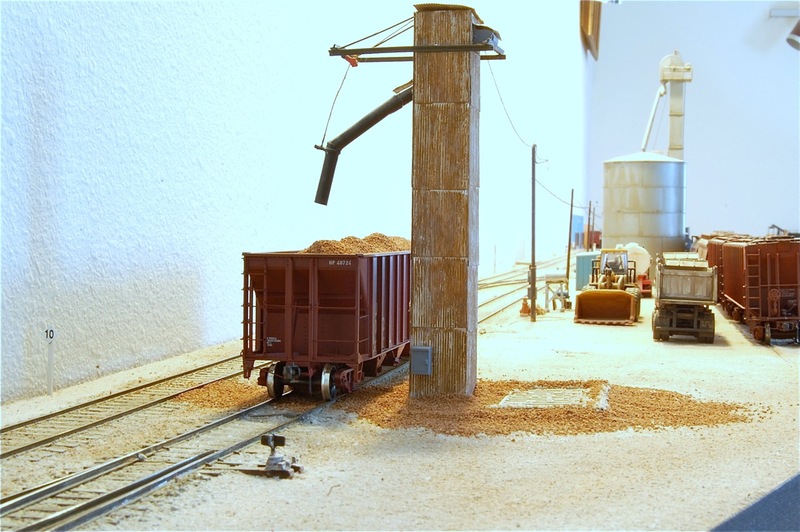 After some investigation, he learned that the facility was used to ship scoria from nearby deposits. He went on to model a similar operation on his LCN. 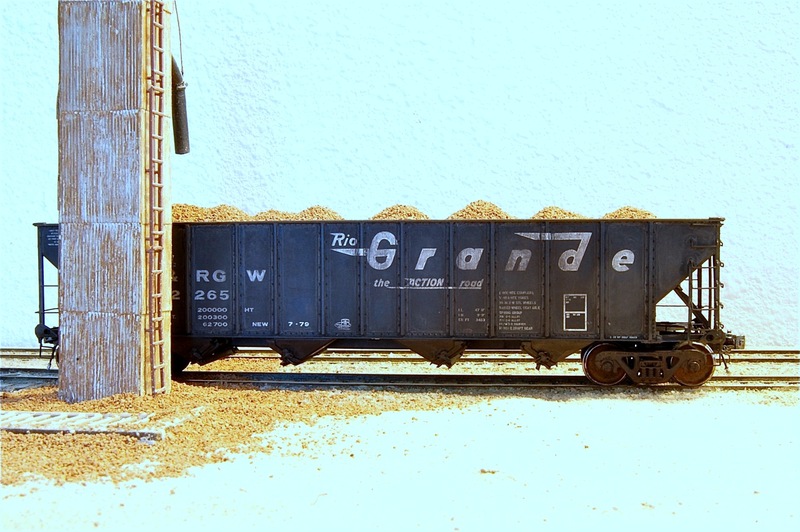 I have acquired a few DRGW and MP Exactrail hoppers to supply cars for a proposed scoria operation on my layout. 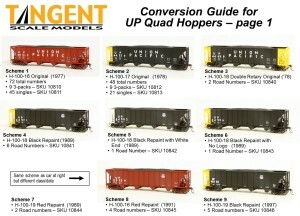 Exactrail recently issued a second release of DRGW hoppers that are perfect. The model is outstanding in its level of detail. 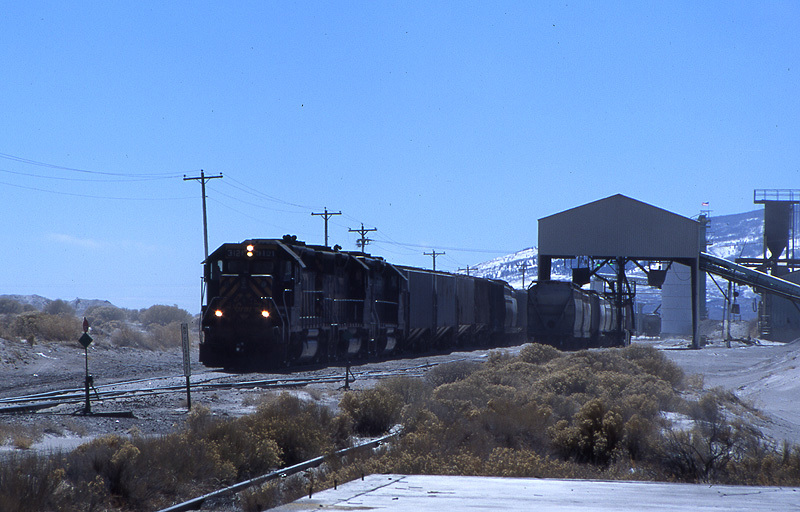 The included black coal loads could be used to replicate black scoria as is. Tangent also makes a fine product to support operations of this type. 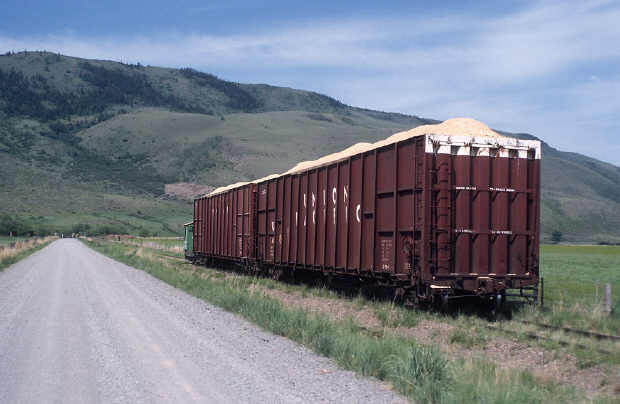 In March 1980 the Milwaukee Road abandoned everything west of Miles City, MT. It was tragic. It was the end of the charismatic railway running through some of the most beautiful scenery in the country. 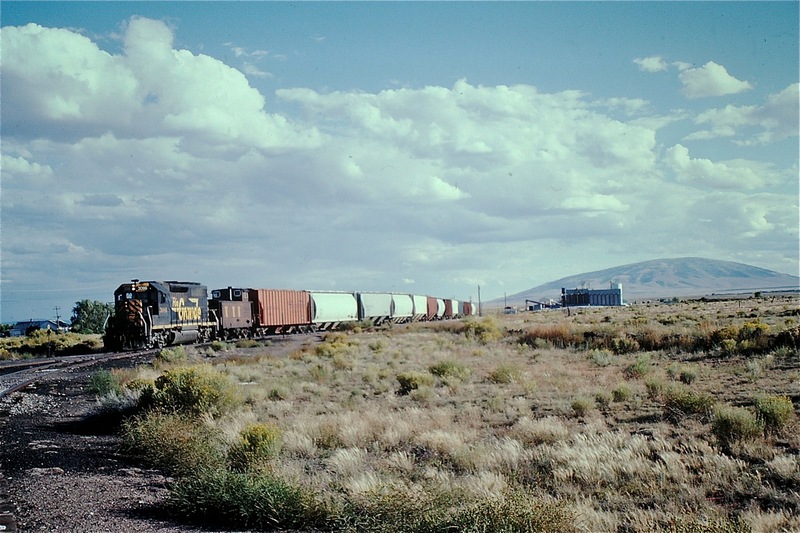 This site which documents the end of the Milwaukee Road in the West offers stunning photographs. Below is just a small sample the site has the offer. Approaching Jefferson Island on the South Bank of the Jefferson River. –©photo by The Weed Route. 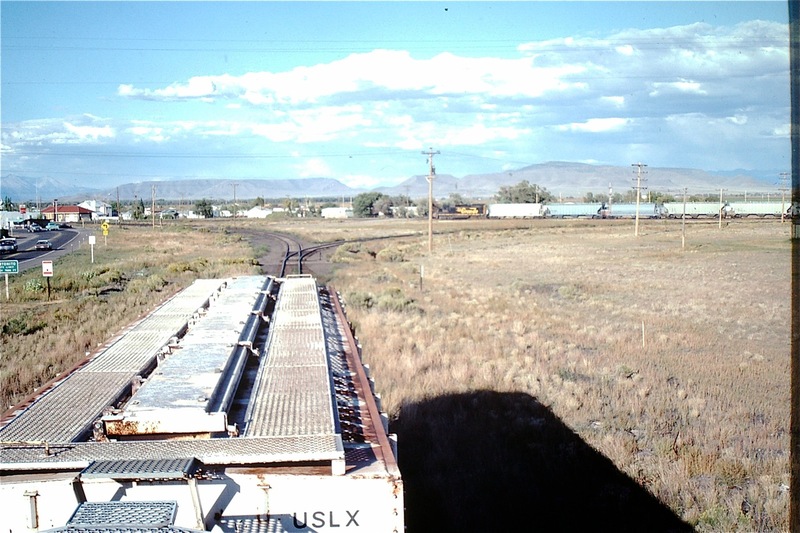 Looking South from the Graves Hotel at The Abandoned Milwaukee Road Railroad Yard, Harlowton, Montana. –©photo by The Weed Route. 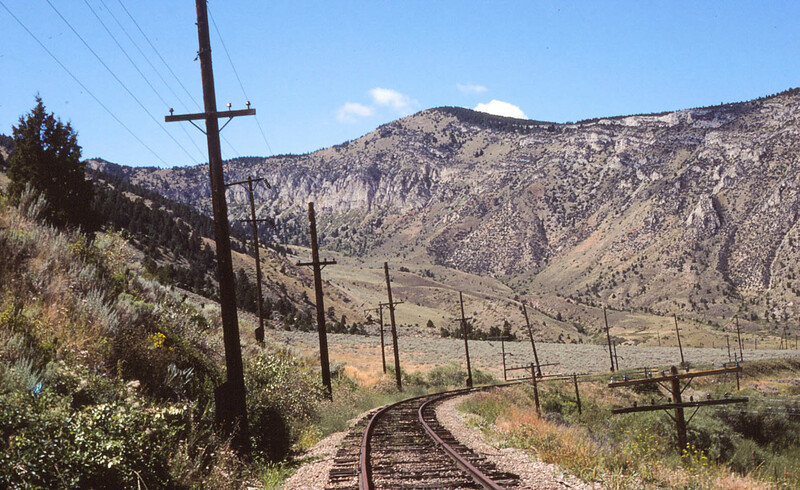 Facing Northwest Up the Northern Pacific Mainline Toward Butte, Montana.–©photo by The Weed Route. 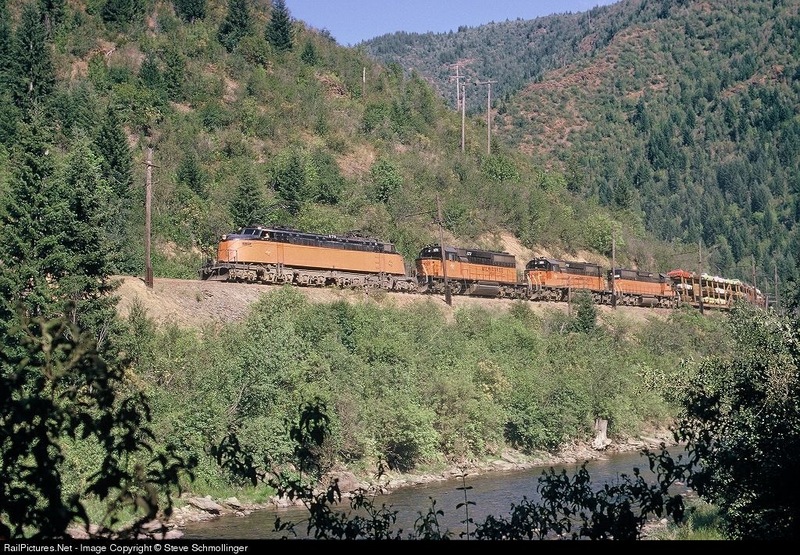 This is truly a remarkable collection of photos if you have interest in the Milwaukee Road in the West. Check the site out by clicking here. 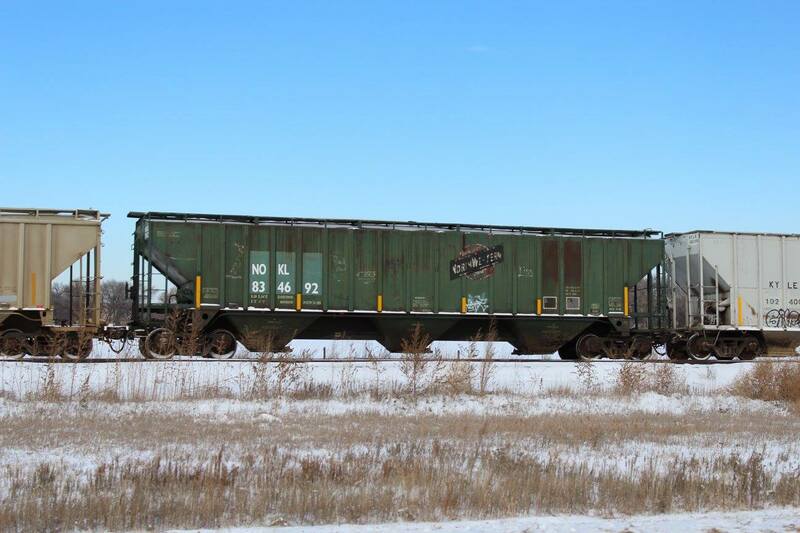 Now Northwestern Oklahoma RR, but was originally marked for the Chicago and Northwestern Railway. Former Rock Island. 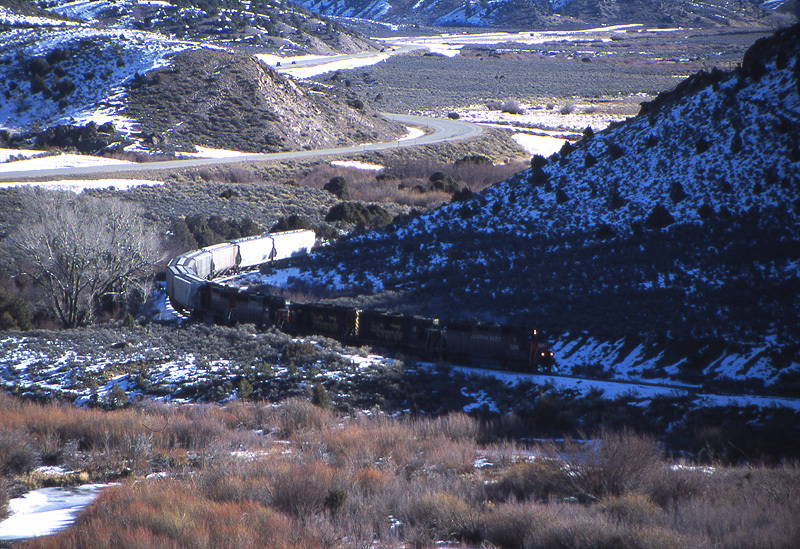 The Rock went bankrupt in 1980, but here is a clear reminder of a once great railroad. Formerly owned by “Growth Nonstock Co-op.” Feels like something is missing! Formerly owned by the Bunge Corporation. Former Union Equity. 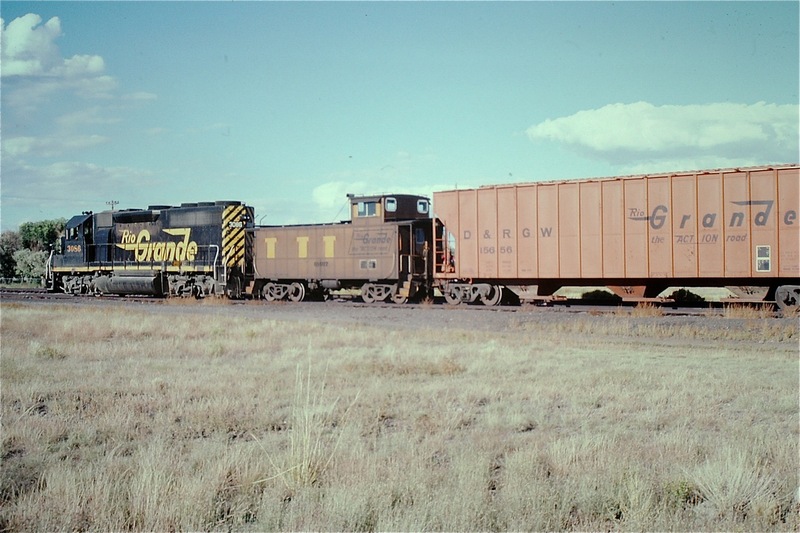 These were originally very attractive bold yellow cars with Emerald green writing. 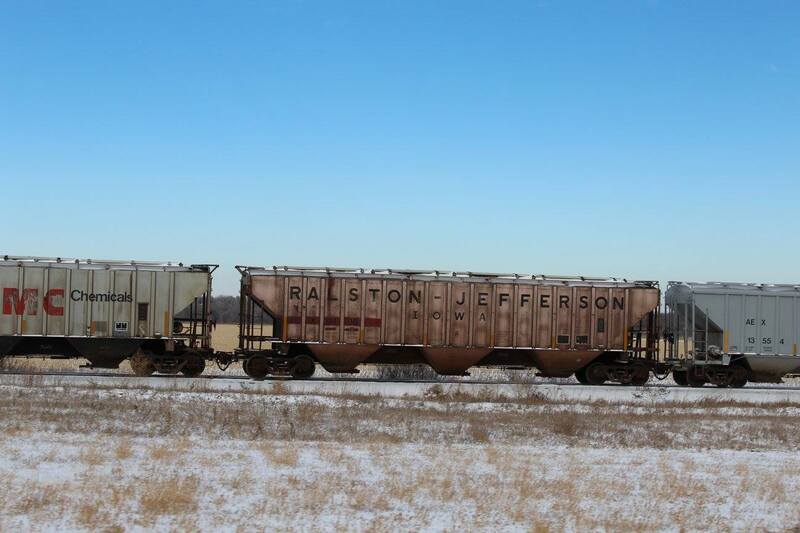 Formerly Ralston Jefferson. Tangent recently did a nice HO-scale replica of these cars. 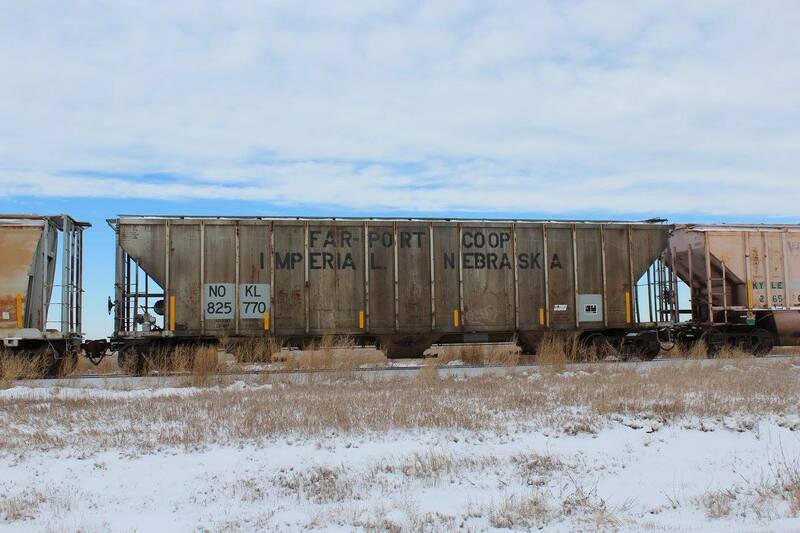 Very nice specimen of a former Far-Post Coop hopper. 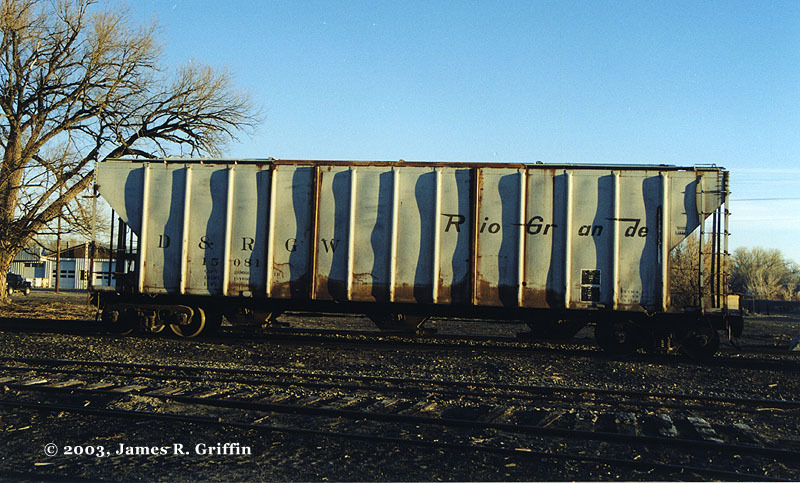 One of my favorites, a former Denver and Rio Grande Western RR covered hopper with “ghost” writing. 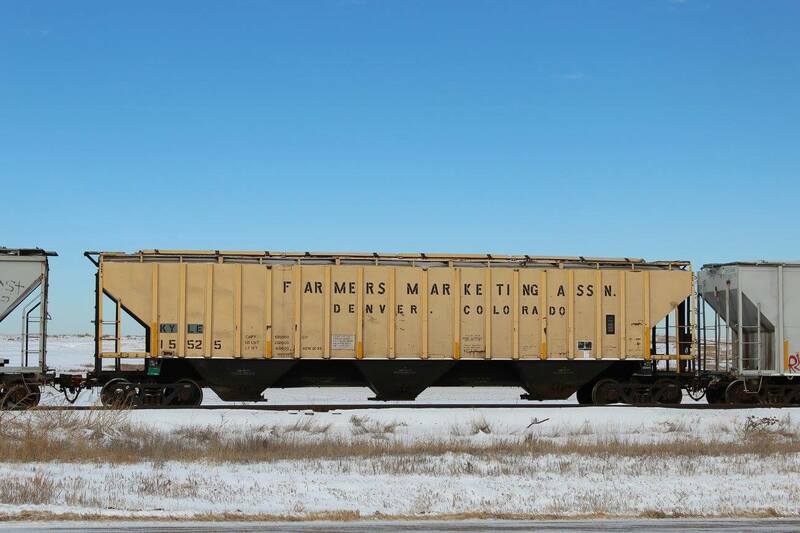 Former Farmers Marketing Association car. Can you tell us who the original owner of this car was? 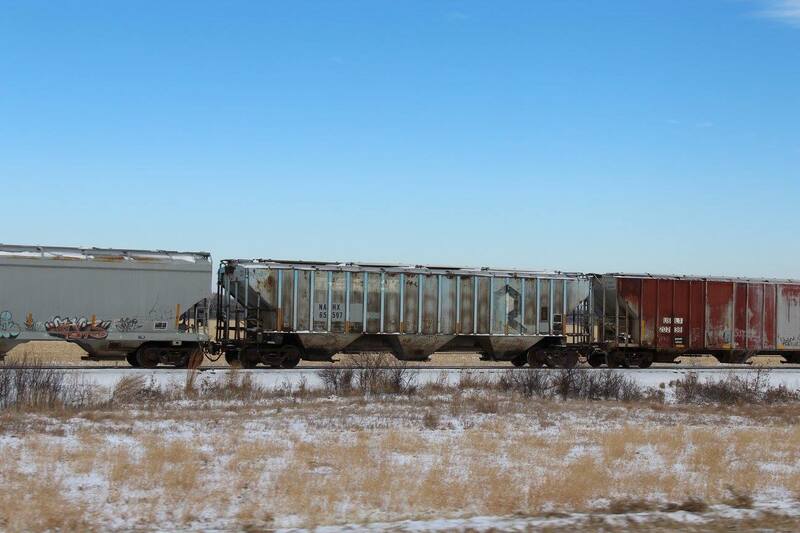 The next time you see a grain train pass, see if you can identify the original owner of the patched cars.